A record of the ridiculous things I'm doing, thinking and making! Strange times with strangers on trains. My life is crazy busy these days, I’m out more nights than not and I’m constantly trying to cram as much stuff in as I can. There are always too many books to read, too many theatre events, gigs and films to get to and far too many TV shows for me to try and cram in around my friends and my burgeoning gaming activities. However today I had a strange encounter, it was the first time my crafting has led to negative interaction with a stranger. 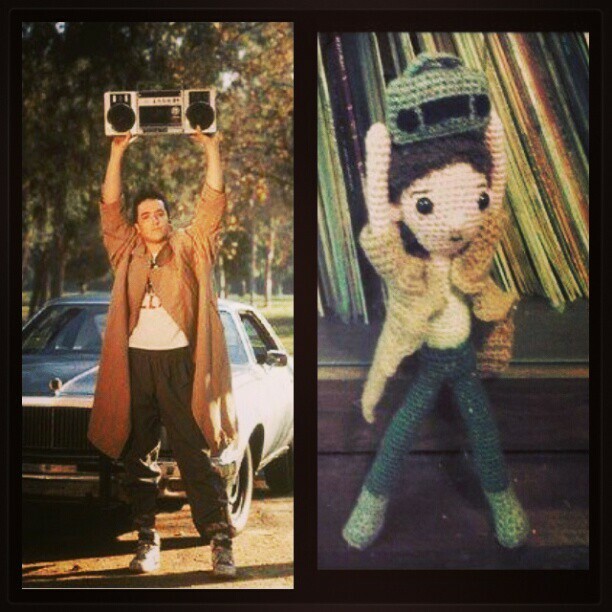 I’m currently making a doll based on a film character. 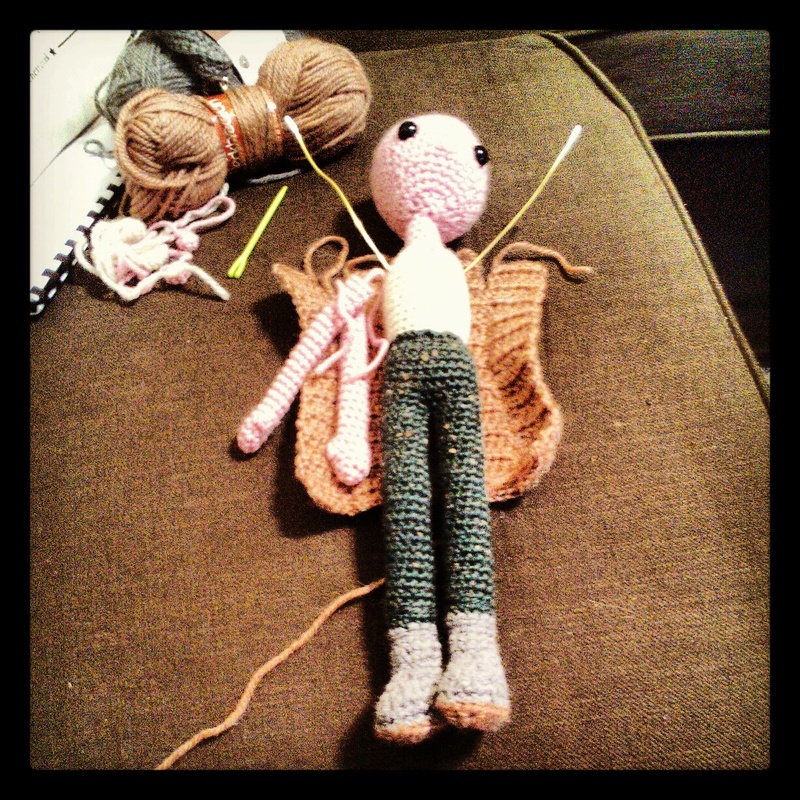 He is mostly crochet but will have some elements of his costume and accessories made out of modelling clay. I’ve been working on him for a while (a lot of planning) and I really want him to be fantastic. At the moment he is in the early stages, just a basic person shaped thing, none of the real detail that will give him his identity is done. I was sitting on the train with my guide patterns (The amazing Crafty is Cool Doctor Who Pattern Set) and a sheaf of reference pictures for my doll and deciding how I should make his little shirt a lady sitting next to me told me “He doesn’t look like that”. Now obviously this is true, my doll has no details yet. I very politely replied “Not yet, but he will”. She leaned over and actually started touching my stuff ad repeated that my doll “doesn’t look like that”, I told her “she’d be surprised once he was finished” which she just scoffed at and asked me if I’d be “making his little toys as well”. By which she meant his weapons. Well yes of course I am, they are part of what will give him his identity. 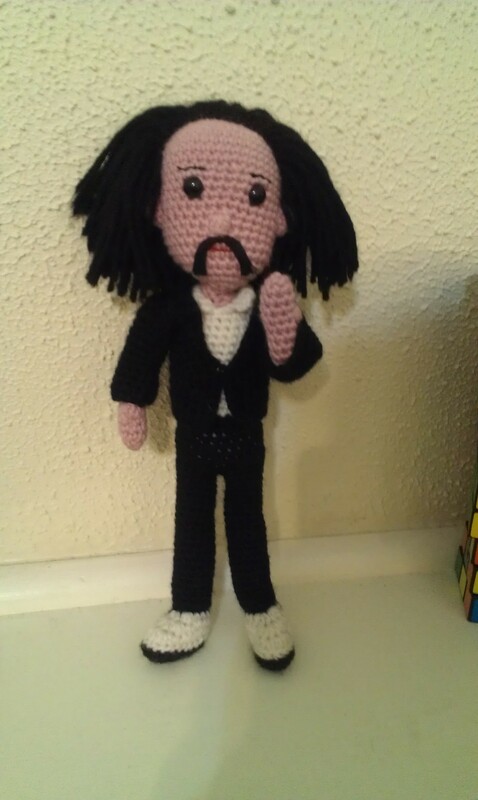 Now I’ve made dolls based on famous people and characters before and they only really seem right when they are finished. Nick Cave, Lloyd Dobler and Death to name a few. Death I completely designed myself, the others are based on Crafty is Cool patterns I’ve bought. See he did end up looking like Lloyd. 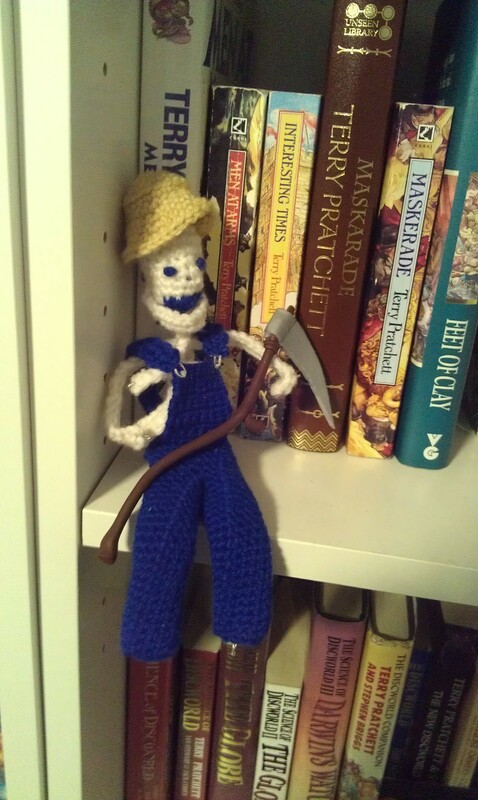 Discworld’s Death, dressed as Bill Door. I don’t think this lady was being intentionally rude but I find it really weird that she would be ok with belittling me and touching my stuff when we have never met before. But by crafting publicly should I expect the public to be unreserved in their judgement of me and my work? The looks I’m ok with, I’ve gotten judgemental looks from strangers my whole life but people actually touching my things without permission just seems in invasion that isn’t warranted just because I’ve taken my hook outside my house. I think that woman deserved a punch in the head. Well, maybe that’s a little harsh, but she was definitely being overly intrusive. I think you’re beautifully polite and she’s lucky that you responded respectfully. I disdain people who feel that they have the right to touch other people or their things in public places without permission. A man sitting next to me on a plane (when I was reading Frankie magazine) once commented “…you’d look good in that [clothing]”. I wanted to whack him on the head with a club but unfortunately I didn’t have one. I’ve just changed the name. I like to make things, strange things.